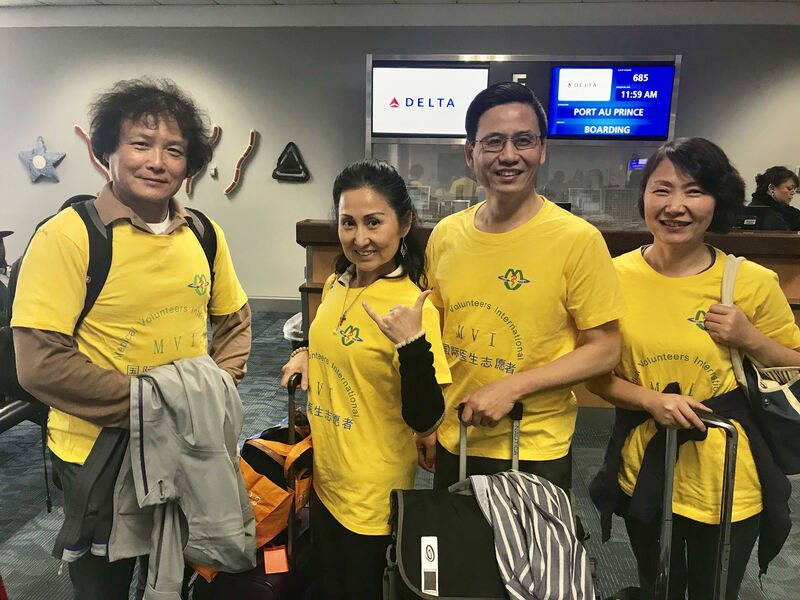 Dr. Steven Shu, medical director of One Stop Medical Center, lead a group of Chinese American doctors from the United States going to the Haiti in the mid of January, 2018 to provide free medical care for local residents. 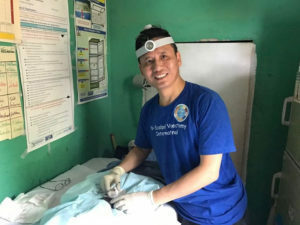 This is the sixth time that he has been active in international medical mission since 2015, and it is the fourth time that he goes to the Haiti. Dr. Shu’s medical mission dream is to establish the surgical center in Haiti. Gynecomastia usually occurs in newborns, adolescents, and men older than 50 years of age in Minnesota, but most cases of newborn and adolescent gynecomastia are self-limiting and resolve on their own. 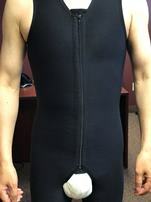 The prevalence of male breast enlargement in Minnesota men has increased in recent years; it is probably related to obesity, side effects of medication, the use of recreational drugs, an underlying medical condition, and/or exposure to xenoestrogens, which is present in many products. Pseudogynecomastia looks much like real gynecomastia but has no medical reason for being there except for the patient being overweight. The differential diagnosis of male breast enlargement includes breast cancer, pseudogynecomastia, lipoma, sebaceous cyst, dermoid cyst, hematoma, mastitis, metastasis, ductal ectasia, fat necrosis, or a hamartoma . Diagnosis of gynecomastia is usually clear and straight without any tests. Your surgeon may occasionally also recommend ultrasound and/or a mammogram to rule out the very small possibility of breast cancer. The breast gland specimen is routinely sent to a pathological lab to confirm the presence of gynecomastia and rule out tumors under a microscope. Gynecomastia should also be distinguished from muscle hypertrophy of the pectoralis muscles in muscular male patients. If a medical problem of gynecomastia is the suspected cause after reviewing your medical history and doing a physical exam during the initial visit, you’ll be referred to an appropriate medical specialist for further evaluation. Laboratory investigations are recommended to find the underlying cause of gynecomastia, including liver and kidney function tests, sexual hormone, and thyroid tests. Additional labs that may be considered are to test the markers of testicular, adrenal, or other tumors. Most gynecomastia patients in Minneapolis and St. Paul areas need a male breast reduction surgery to correct the enlarged breasts. Male breast reduction surgery is a highly effective surgical procedure in the combination of liposuction and surgical excision, giving excellent esthetic results. Shu Cosmetic Surgery uses minimal invasive surgical approach with local tumescent anesthesia and cutting-edge liposuction technology to achieve a great cosmetic result. Shu Cosmetic Surgery Institute is pleased to offer the revolutionary ADRC (Stem) Cell Enhanced Face Lift, the face lift that adds one’s own regenerative cells to further enhance facial rejuvenation and youth restoration. Edina, MN (August 17th, 2011) — Cosmetic surgeons have been trying to restore youth into patients’ faces for years. This seemingly unattainable goal has been brought to reality thanks to improvements in surgical technique and laser tools. 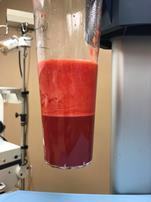 A ground-breaking technique that Dr. Steven Shu calls the “ADRC (Stem) cell enhanced face lift” can not only help patients restore volume in the face to create an even more youthful appearance, but also add regenerative cells believed to be beneficial to the rejuvenation process. “The ADRC (stem) cell enhanced face lift procedure is an even more effective and innovative technique because the cells are injected into the SMAS and underneath the facial musculature to create a more satisfying result,” Dr. Shu said. The ADRC (stem) cell enhanced face lift combines soft tissue transferred from one part of the patient’s body to the face using the patient’s own adipose tissue-derived stem cells and regenerative cells. Fat cells, usually from the abdomen area, are extracted using liposuction and then harvested for its rich amount of Adipose Derived Regenerative Cells (ADRC’s), including adult stem cells, blood vessel producing cells, and growth factor secreting cells. Once harvested, the fat is treated through an ADRC processing device to isolate the regenerative cells. The collected stem cells and fat are injected into the layers of skin and muscle underneath the face, and special attention is paid to making sure the regenerative tissue is placed in a precise location to enhance volume in the necessary areas. Dr. Steven Shu, MD, MBA, is a board certified laser surgeon and a pioneer of office cosmetic and surgeries in the United States. He has adopted countless revolutionary techniques to achieve ideal results with more efficiency and safety. Dr. Shu is a board certified laser surgeon and one of the nation’s top proceduralists, specializing in office based medical and cosmetic procedures and surgeries. He provides a wide range of cosmetic procedural and surgical services above and beyond typical aesthetic medicine and performs numerous office procedures every year. 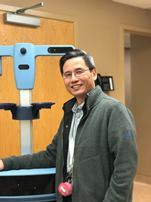 On top of his clinical work, Dr. Shu is an Assistant Professor at the University of Minnesota medical school and is also on the medical staff at Southdale Hospital, North Memorial Hospital, and Fairview Medical Center, teaching weekly office procedures to resident physicians. Dr. Shu has continued his advanced education in cosmetic surgeries over the years, having trained with many of the nation’s top cosmetic and plastic surgeons. As a pioneer in office cosmetic surgeries in the United States, he has adopted countless revolutionary techniques to achieve ideal results with more efficiency and safety. Blepharoplasty and Advanced Periorbital Rejuvenation, personally trained by Dr. Susan Hughes at the Hughes Center for Aesthetic Medicine in Cherry Hill, NJ. Outside the office, Dr. Shu dedicates his time to community activism. After forming the Minnesota Chinese Physician Association (AMCP) in 2003, he led its members and community volunteers in establishing the Minnesota Chinese Health Center (MCHC), a free clinic for disadvantaged Chinese in the Twin Cities. He is also publisher and president of MN Duowei Times, the most widely circulated Chinese newspaper in Minnesota. Moreover, he established One Stop Charity Fund in his clinic in 2010 and donates 10% of profit every year to non-profit organizations in the Chinese community.